You should check out the great patterns made by the talented Kristen Leigh Turner. We love the combination between floral and geometric design. Guilherme Marconi proves to us that even flip-flop based pattens look great. A kinetic sculpture that should calm you down with ever changing pattern-like movements. By Willem van Weeghel. In this tutorial we’re going to make a pattern that fits on a website and integrate that pattern on the website. As an example, i’m going to put a pattern in the footer (bottom part) of repperpatterns.com. We’ll go trough the process step by step, after the jump. This design by Saar shows that even fake birds with patterns rock.. Now lets get us a live one! 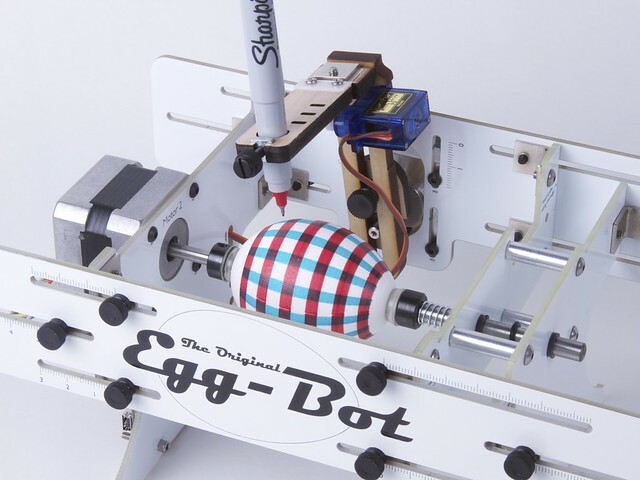 This awesome robot lets you decorate your eggs automatically. And it’s even a kit, so you can build it yourself. Please Easter Bunny, if you are hearing this, give us one of these! They are quick, easy and great fun to make. The Majesty Large Trophy Deer Heads by Hus&Hem.